For Audi, Seat, Skoda and VW models with 1.2, 1.4, 1.8, 2, 2.8, 3, 4.2 TDI, TSI, TFSI engines. For wide selection of Citroen, Peugeot and Fiat models. For Fiat Croma and Opel models with 1.6 and 1.8 engines. 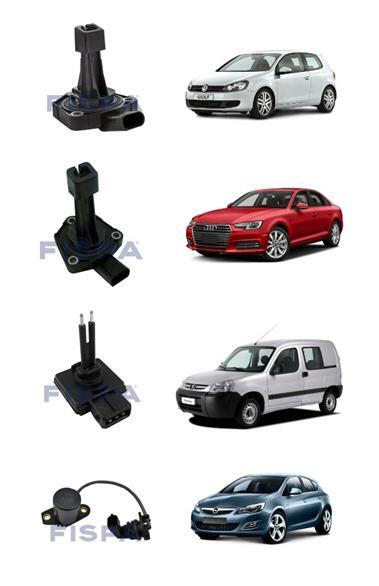 This is just a small snapshot of the new products that are added to the FISPA range of sensors, valves and electrical components on a regular basis. FISPA offers one of the most comprehensive aftermarket ranges of original and OE quality components covering: Fuel Pumps, Temperature Sensors, Thermostats, EGR valves, Oil level sensors & valves, Crankshaft sensors, ABS sensors, Pressure sensors, Throttle bodies and more, all available at prices that offer big savings over dealer sourced parts. Looking for a sensor or electrical component, call ADE first.